I picked up something interesting recently while I was out shopping- Hello Kitty Reflective stickers by 3M! The pastel hues caught my eye and I decided to get them as they are quite useful! I spotted the sticker when I was stocking up on my stationery. I had never seen the stickers before, so I got myself a pack. There's a few different types available. 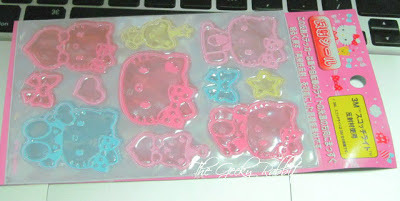 The one I got has baby pink, blue and yellow stickers while another design had red stickers. The stickers are really practical on top of being cute, as shown at the back of the description card. It can be used for general safety, and definitely important at night. Using it as a bicycle reflector is really neat! The sticker can add on a girly touch to the bike. 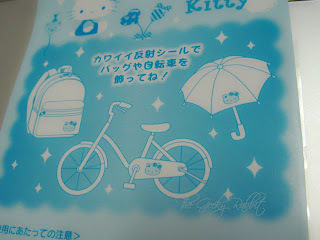 Hardly ever seen Hello Kitty or Sanrio bike accessories, so this is something interesting. I will be dressing up my bike with some of these stickers!